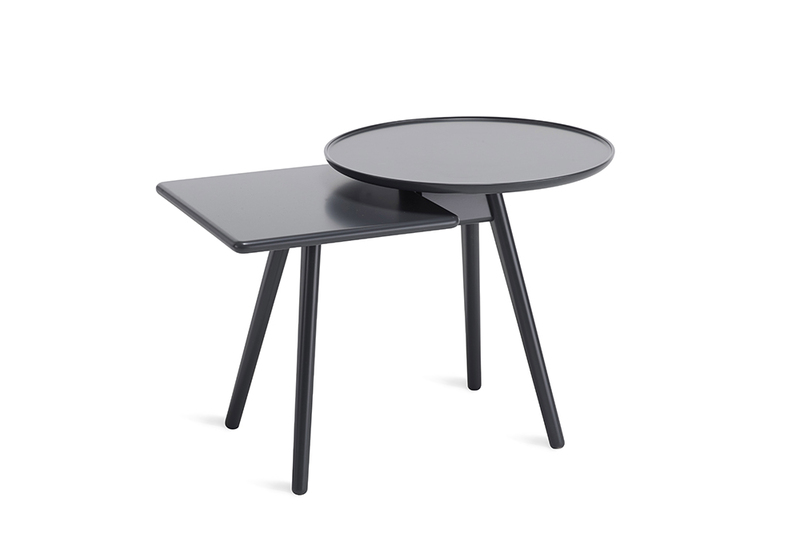 Mopsy is an original coffee/side table that is created by the combination of two different shapes. 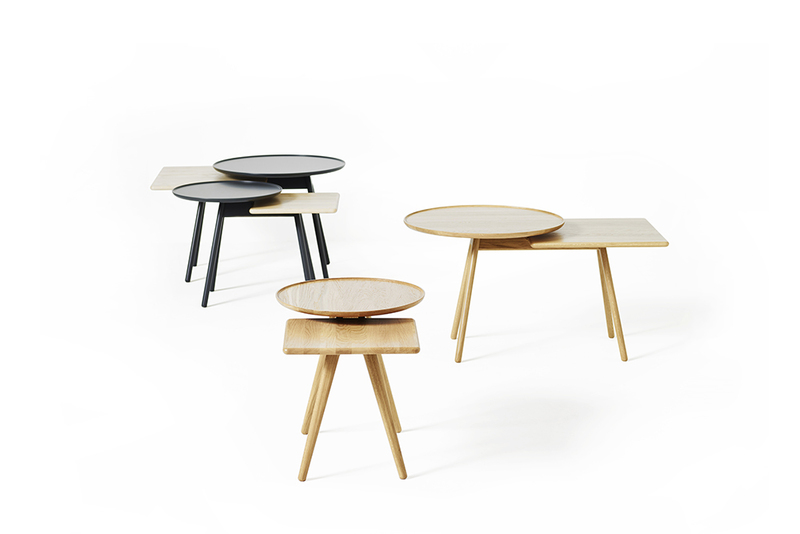 A circular surface and a rectangular one are brought together by overlapping one over the other at different heights. This combination creates various levels in the piece and brings a dynamic feature to the ensemble. 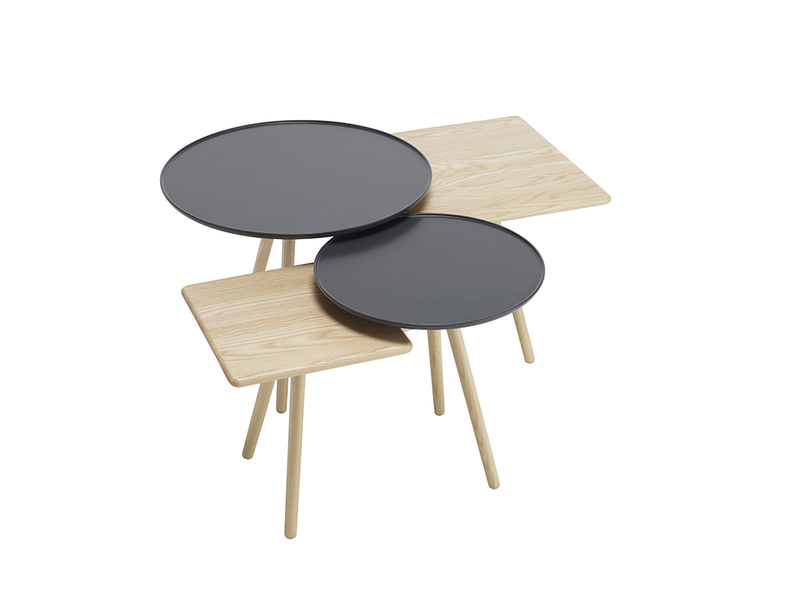 Several Mopsy tables can also be combined in a same group, thanks to this playful variation in the tabletop’ heights. 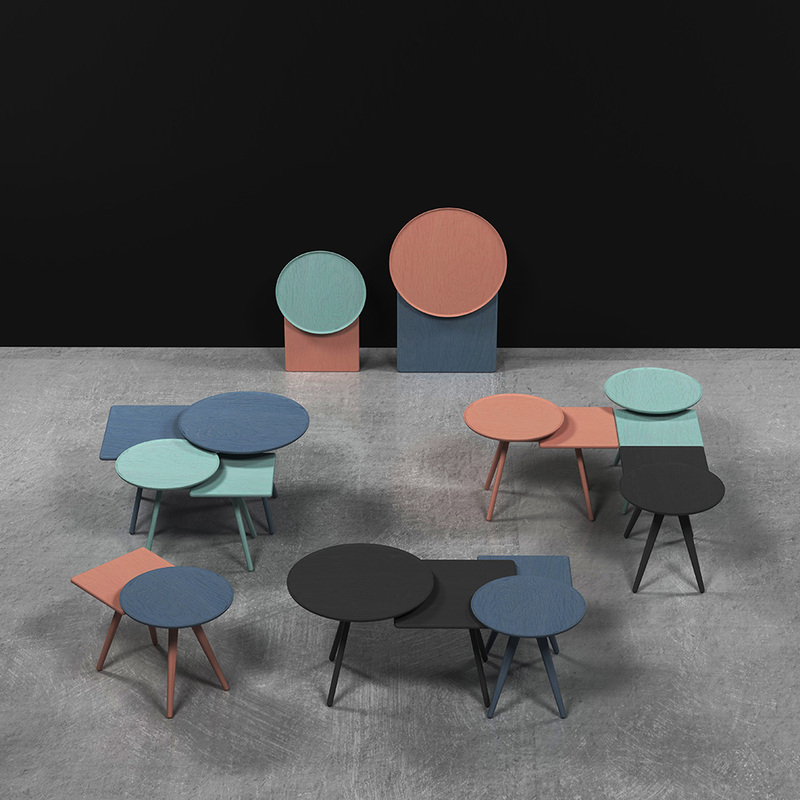 The two surfaces not only have different shapes and heights, but also may have different colours, which highlights even more the disparity, almost as if it was a combination of two different tables that had merged into one.All these variations in the piece provide a fun, animated character to it.